Believe it or not, big cars are back. Yes, sales of large luxury models are predicted to rise in the years ahead. That is the view being taken by the Mercedes-Benz organisation in Ireland as its prepares for the introduction of the new four-door CLS coupe. This is a model that sales manager Ciaran Allen says will be a “forerunner for change” when it arrives here early next year. Thanks to new technology that reduces fuel consumption and cuts exhaust emissions, public attitude towards large cars is changing as they begin to rival small family saloons in terms of their environmental acceptability. One example of this is seen in Mercedes-Benz’s own blue efficiency. 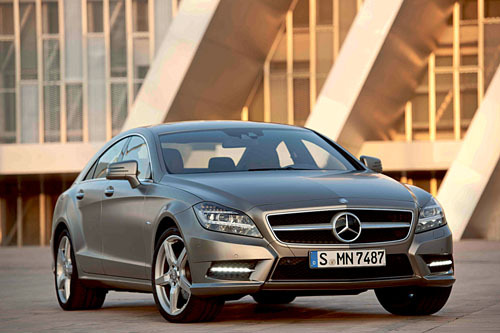 Already available in C and E-Class models, it will feature across the new CLS range. In the case of the entry-level, four-cylinder 250 CDI model, which will account for two-thirds of all CLS sales in Ireland, it has a low 139 CO2 rating. This will pitch it into the Band B road tax category of €156 per annum. Similarly, in the higher-powered 350CDI - replacement for the former 320 version - a CO2 rating of 159 positions it in Band D with road tax of just €447 per annum.